The concentrated sweetness in the aroma and taste contains apricots, dried fruits, and fruit compote. 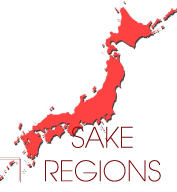 Modern style of sake with complex aroma of tree fruits and green vegetables. Holds an aroma of muscat grapes. The soft acidity flows comfortably. Mild sake with delicate flavor. Smooth Sake with floral aroma. Rich flavor and mellow taste. In sapphire bottle with mother-of-pearl design. Features gentle fragrant and refreshing taste. Features pleasant flavor and mellow rich taste. Made from Junmai sake aged in wooden casks made from fragrant Japanese Cedar Yoshino Sugi. 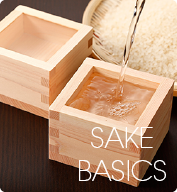 Natural, full-bodied flavor made from Yamadanishiki, the best sake-making rice in Japan. Plums and yogurt aroma, refreshing acidity and elegant sweetness like green apples. Graceful aroma of fruits. Delicate and creamy sweetness and moderate acidity. Luxurious and elegant. Medium dry. Low-alcohol, lightly sparkling Sake with pleasant, refreshing, balanced sweet and acidic flavor. Brewed with domestically produced rice and miyamizu which has dry with refreshingly crisp finish. Light and Smooth. Fruity but Elegant. Delicate sweet entry with a dry crisp finish. The balance of acidity and sweetness is perfect and it continues to the beautiful finish. This unpasteurized Junmai reminds you Pinot Grigio. Fresh and quality sake flavor. Extend light fragrance in th mouth. Aroma of plums, apricots, and dried fruits. The acidity complements the sweetness perfectly. Refreshing and sweet aroma of milk.Exquisite balance of acidity and sweetness is enhanced when served hot. Medium dry and light Sake with aroma of melon and banana. Produced from Japanese Plum using fermentation with smoothly sweet and refreshingly tangy taste. Junmai Sake aged for a few days in a ceder cask. Smooth taste with elegant refreshing aroma of cedar. Refined Junmai sake is aged in Japanese cedar casks to produce a remarkably smooth sake with ethereal cedar aroma. Color tone like red wine and aroma of fresh wild strawberry. Harmony of sweetness and acidity is exquisite. Aroma with wide flavor and Junmai character. Smoothness and silkiness will lead to long lasting finish. Plums and yogurt aroma, refreshing alcohol and acidity orchestrate elegant sweetness like green apples. Very smooth Sake with fruity aroma. Made with 100% Yamada-Nishiki rice. Sweet aroma of orange blossoms. 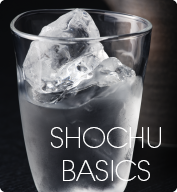 Mellow sweetness, soft acidity and round umami. Light and rounded aromas, sweet and smooth fragrances. Easily enjoyable sake. Same great flavor as the other Tomoju, packaged in a attractive new bottle. 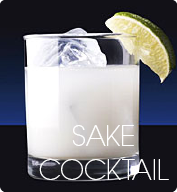 Full- bodied & well-constructed sake with a discreet fragrance and silky-rich flavor. Powerful aroma of sweet and sour, like pineapples. Mellow sweetness of apricots lingers.